Ok, look at it for a minute and figure it out. Got it? Really? What, are you sleep deprived? Look at it again. That’s right Energy for Less. So, what does this mean? Coffee drinker? 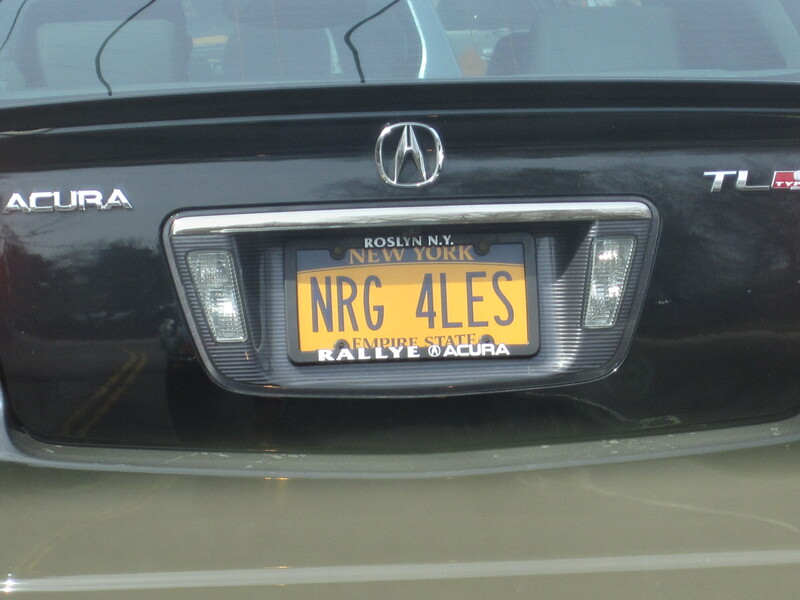 Guy named Les buying cheap energy drinks? Speed dealer with good prices? Let’s put this baby out for a little poll. I am adding in an option to add your own ideas and I will share them later on. Or feel free to put them in the comments. This photo was sent to me from someone who spotted it in, of all odd places, a VA cemetery in Florida. I might be at a loss for words on this one, except but to give it the seal of MFTA approval. Never count your chickens before they hatch. Period. Everyone should live by this rule. In business. When playing MegaMillions (ok, so maybe I spent a little of the 340 mil this weekend in my mind). And especially in sports. This past weekend a young man who is very special to us (understatement) was fortunate enough to be on the other side of the chicken counting. His HS basketball team went into the state finals against an undefeated team in their division. This very cocky opponent team came into the semi-finals 28-0. They won the semis and simply assumed that the finals were theirs for the taking. 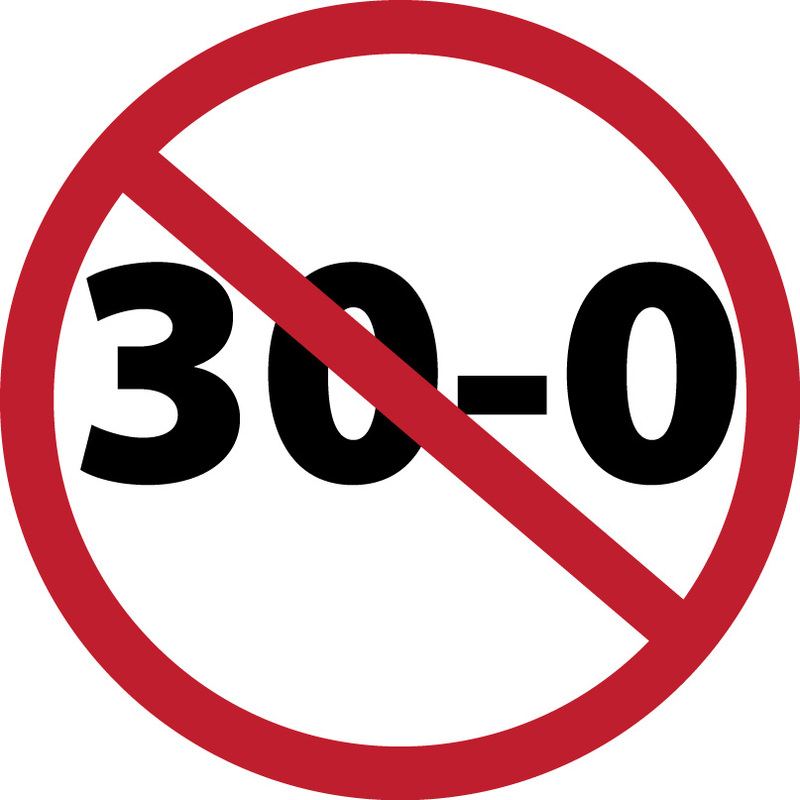 So much so that they had ’30-0′ shirts made up before the competition. This is an actual sign. It does not come from one of those sign generator websites that say things like ‘Merry Christmas from an Atheist’. 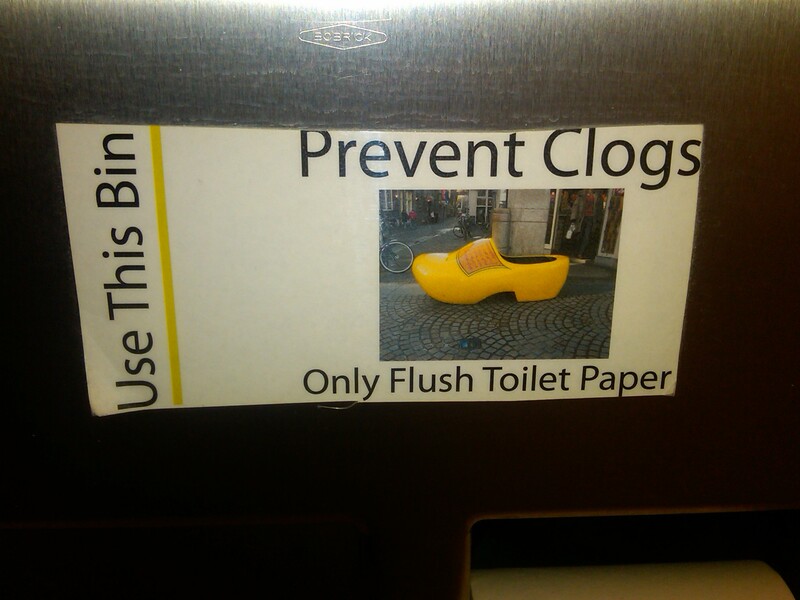 Adding to the outright hysterical nature of this, it was sent to me via text from my most self-described germaphobic friend. Ok, so let’s review this one. 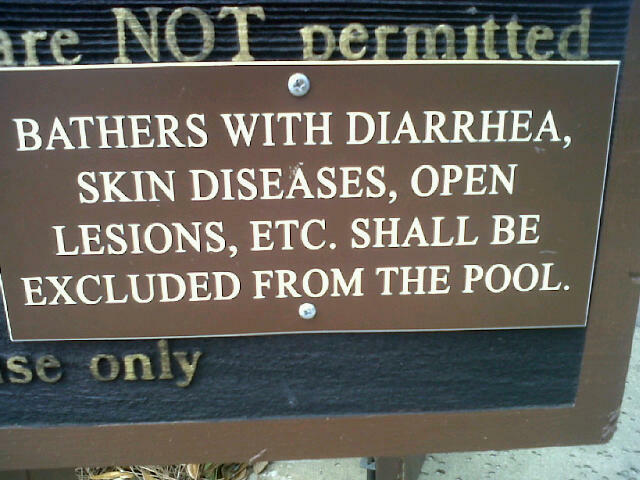 How do we actually verify whether the bather in question has diarrhea? Do we follow every living soul into the bathroom and wait? Now those with skin diseases and lesions, although they would be quite easy to pick out in a crowd I am thinking A) sitting in the sun by the pool might not be on the top of the list of their activities and B) the chlorine would probably hurt like hell so they would most likely not be inclined to go for a dip. Now the ‘etc.’ crowd? They are going to be REALLY hard to police. I suppose they needed to cover all the bases. 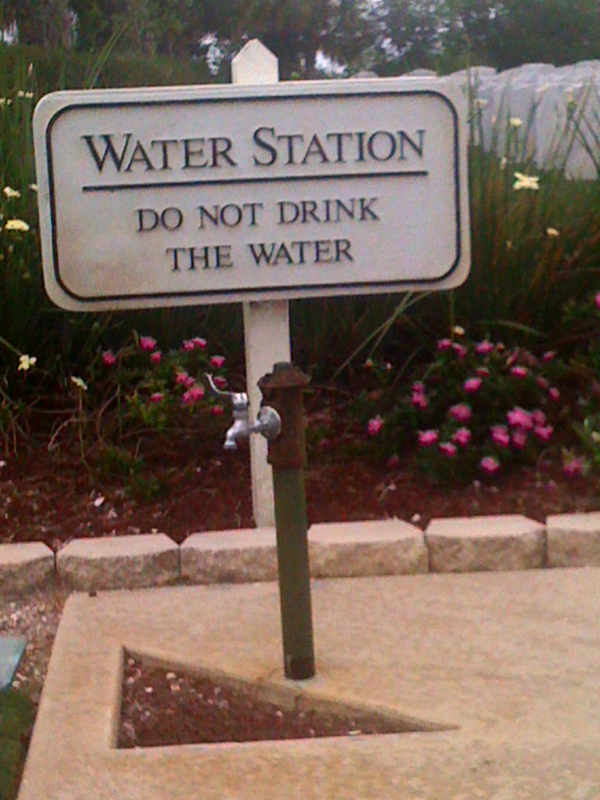 You know, because most upscale resorts have all sorts of problems with this sort of thing. ” Oh Alabama. The devil fools with the best laid plan”. I was at the ASI show at the Javitz Center today. For those who do not know ASI, it is the trade show for ad specialities… or in lay terms all the stuff with logos that companies hand out… at trade shows. Sort of self-perpetuating, isn’t it? In fairness, a lot of the stuff is given away at places other than trade shows but it was funnier to think of it the other way. 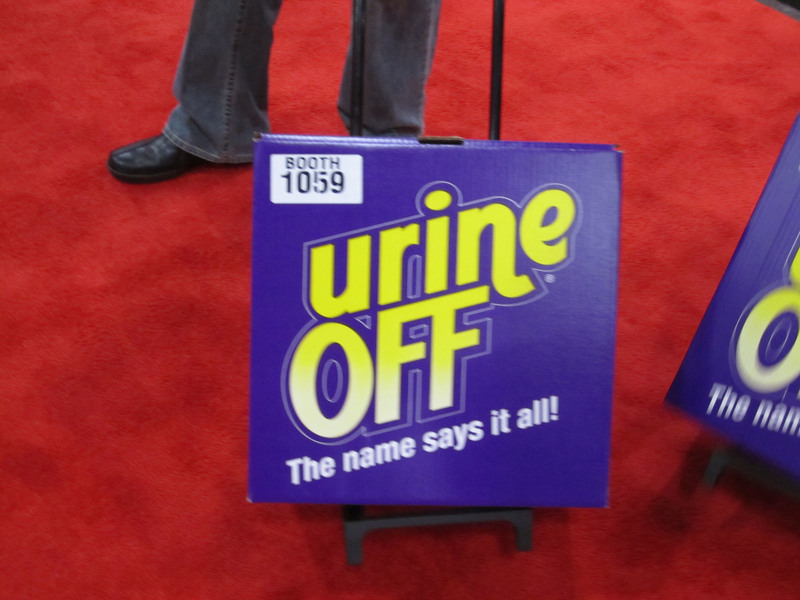 Well, we never did check out who was at Booth 1059 and quite frankly I didn’t care who they were if they did not have the sense to at least give these two guys a line to tell people who asked about the Urine Off. But I did get curious tonight so I looked it up and there was no Booth 1059… sort of Twighlight Zone-ish, no? I did however, google Urine Off and it appears this is the ‘World’s Best Urine and Stain Remover’ or like the box says, ‘The Name Says it All’. This company also makes Coffee Off and Wine Off. Sorry guys, they are simply not as funny – for obvious reasons. 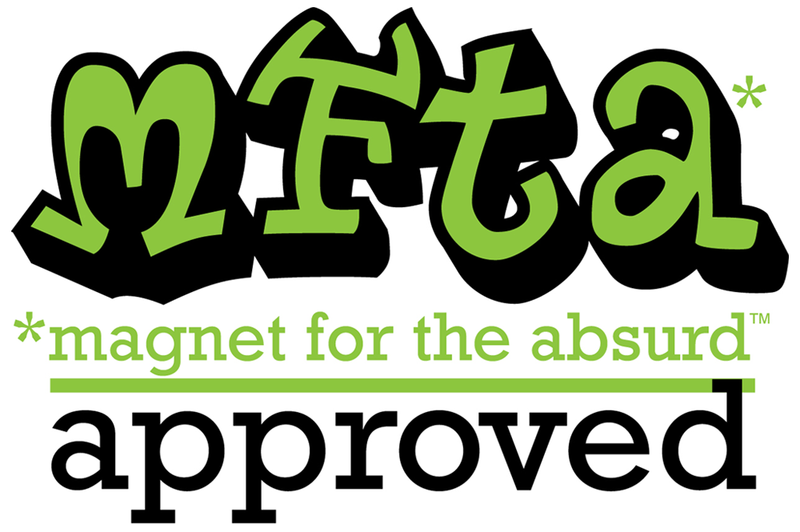 It would appear that one of the perks of being friends with The Magnet For The Absurd (MFTA) is that eventually absurdities start to present themselves to you. This wonderful image comes from Susan, who has sent me countless absurdities by phone, for my sheer entertainment and wonder. Sue, I believe you have left apprentice stage and have earned the title of Partner of Absurdity (POA).